In January, we helped build a small store for the family of Lalito, a ten-year-old boy who has cerebral palsy. The store was built to give Lalito’s mom, Yesenia, the ability to work from home. Last year in August, Yesenia was in a bad car accident. She has lost most of the hearing in one ear and has had back and head problems as well. The store’s building had already begun in August, however, due to the cost of her medical bills, she no longer had sufficient funds to finish her store. 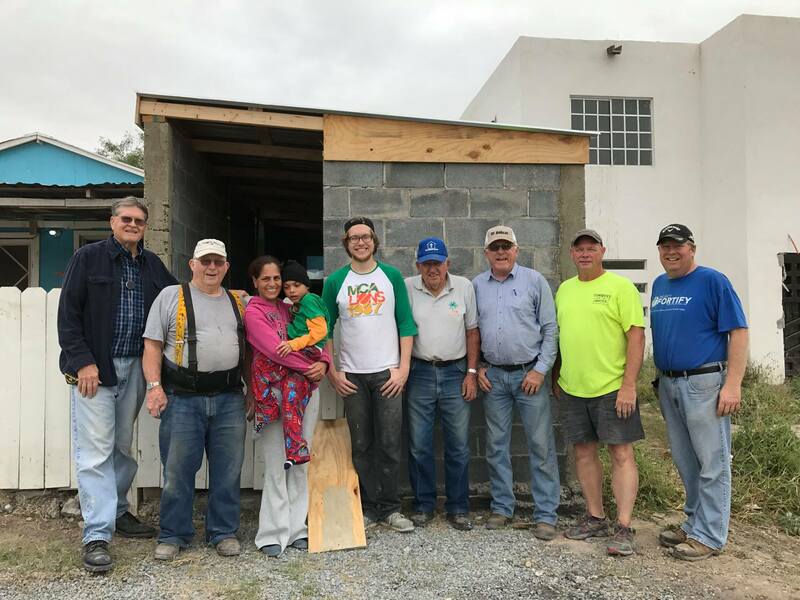 In January, members of Project Fortify were joined by Winter Texans to finish the building of the walls, adding a window, constructing a roof and running electricity in the store.